I’ve wanted to make this dress for quite some time, and have had the digital pattern for over a year, but it wasn’t until I spied some black stretch lace in the magical wonderland of Boyes that I finally committed to it. 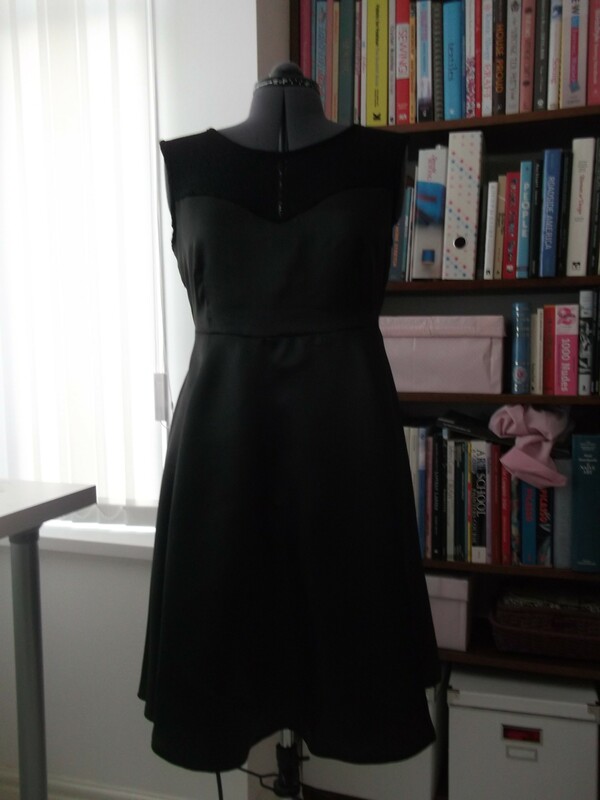 Although I could have paired the black lace with many different colours or prints, I was attracted to the idea of making myself a plain black party dress for the festive season, so I bought some black satin for the main body of the dress (100% polyester – this is Boyes after all!). I’ve never made the dress before, but both the lace and the ‘satin’ were cheaper than buying calico, so I decided instead of making a toile, to just go for it with these fabrics, and if it didn’t work out, well, I wouldn’t have lost much! You need 4m of main fabric alone for this dress, so wanted to be as thrifty as possible. 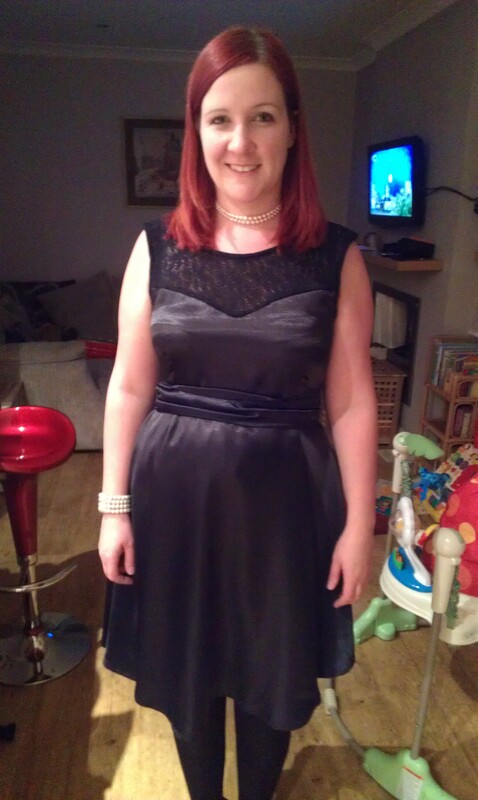 It turned out pretty nicely – the only thing I would change the next time would be to lengthen the bodice as it sits higher than my natural waist! But other than that, the fit is pretty good. The skirt took forever to hem and I was glad of having a dress form to ‘wear’ it for me. 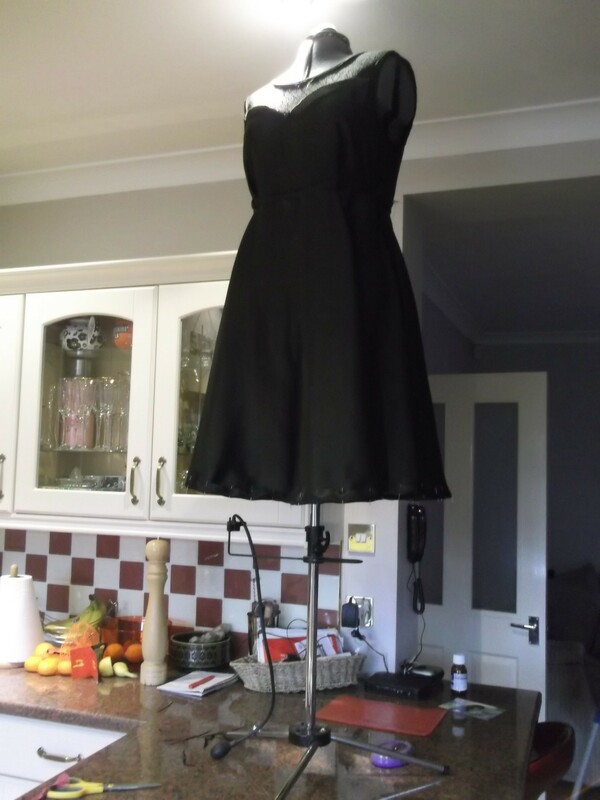 I actually stood her up on the kitchen work top so that I could get the bottom of the skirt at eye level. After hanging overnight, the bias cut portions of the skirt were completely wonky and I had to re-cut it straight before pinning it up. I wore it for Thanksgiving dinner at a friend’s house, and wore it with the black satin belt I made for my Peony dress to pull it in at the waistline. With the waist sitting so high on me, it felt more baby doll than it ought to, and I thought the belt helped to bring it in at the waist. However, having looked at the ‘outfit shots’, I’m not sure I like it with the belt after all, as it seems to stick out over, and therefore accentuate, my belly! No no no! So next time I wear it – no belt! The lace detail looks amazing and it was a great idea to pair it with plain fabric. It just emphasizes the lace more! I am surprised that you used 4m of fabric! Where did it all go? The skirt? Thank you! Yes, the skirt takes a lot of fabric! Thank you. It’s not bad! Beautiful! 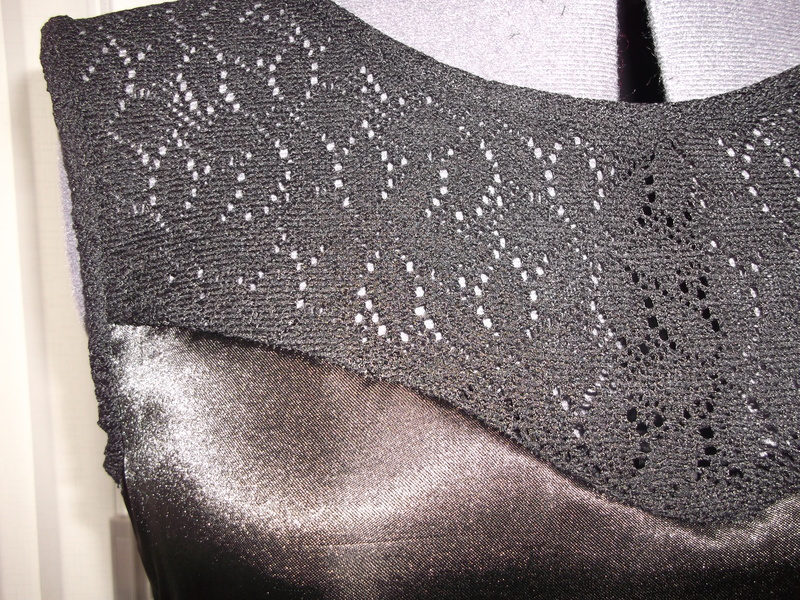 The lace yoke and the shape on you are both lovely! Thanks Jo! It’s a good party dress. It looks lovely. I don’t envy you that hem sewing but it’s a good tip to stand it on the work bench. Thank you. It is better than trying to pin it whilst wearing it, or having to get down on the floor! This is gorgeous! I love the lace neckline. Me too, it’s a nicely designed pattern.